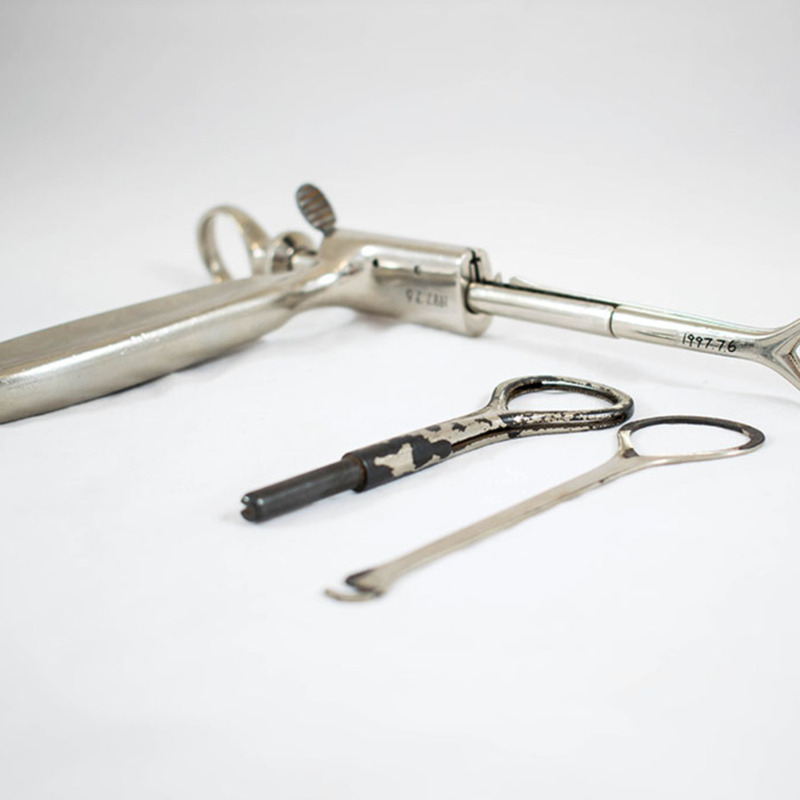 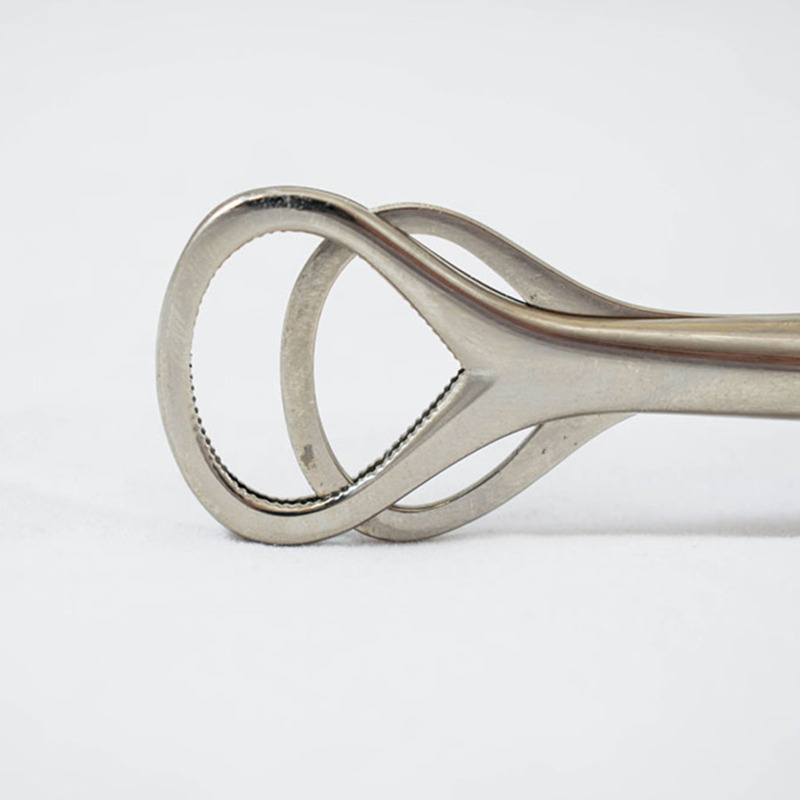 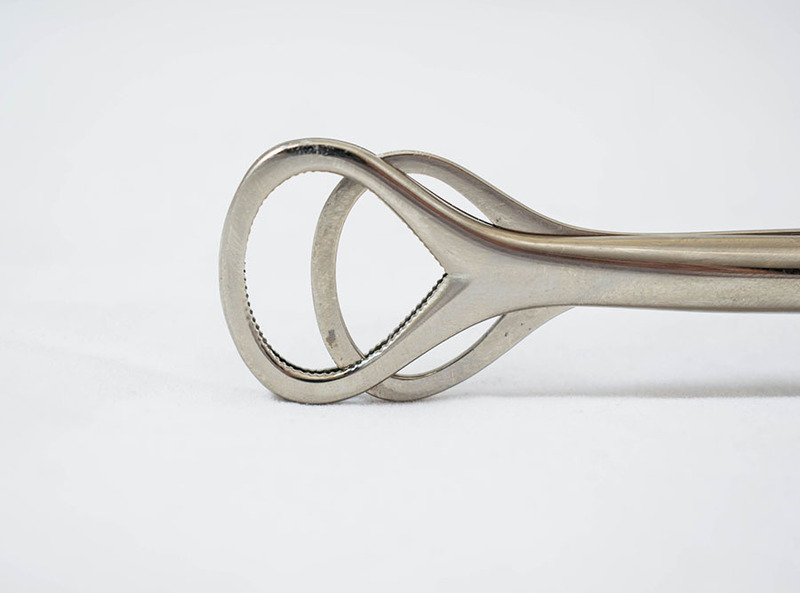 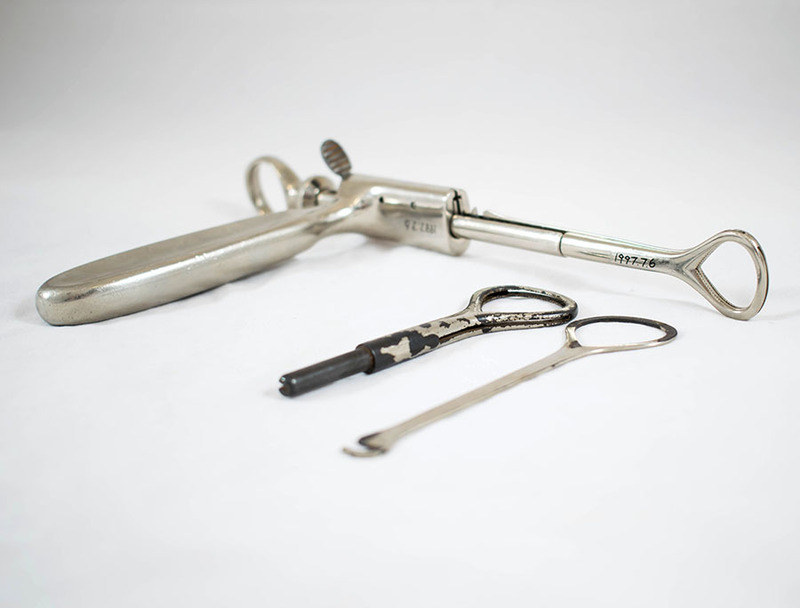 Tonsil enucleator with interchangeable paediatric operating head, used for home tonsillectomy. 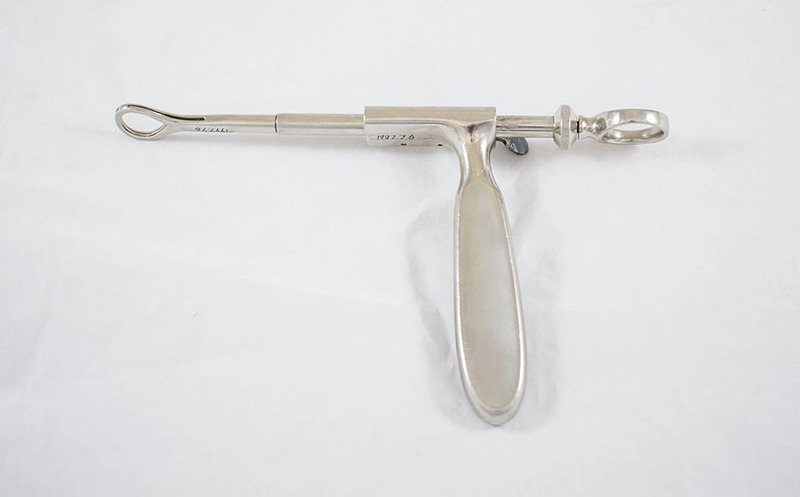 “Tonsil Enucleator,” Heritage, accessed April 20, 2019, https://heritage.rcpsg.ac.uk/items/show/443. 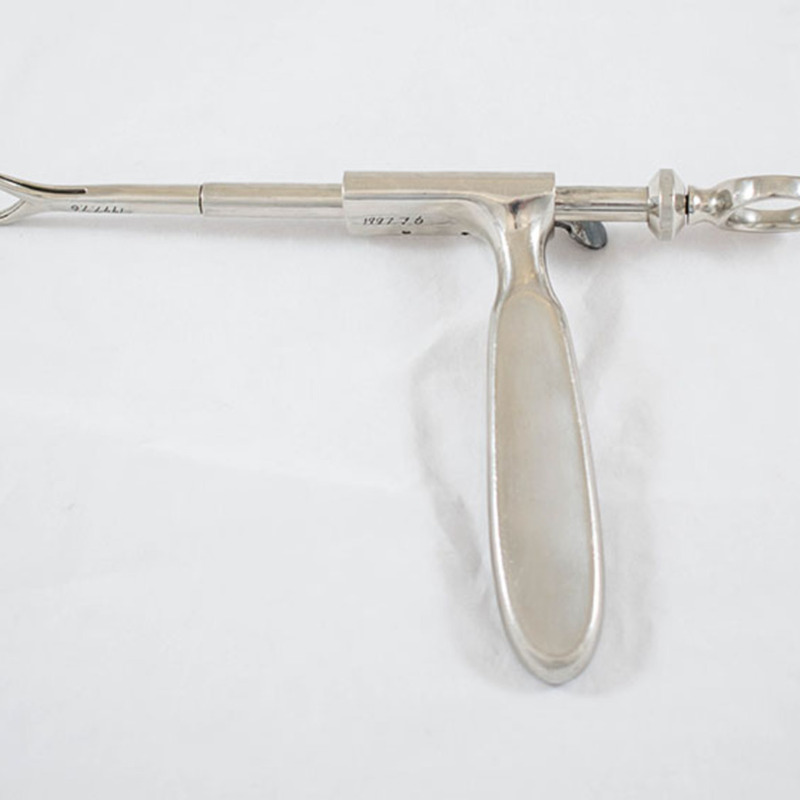 Description: Tonsil enucleator with interchangeable paediatric operating head, used for home tonsillectomy.